Outsourcing has been a part of the business world for decades now. As the duties that can now be outsourced continue to grow, it is time to start looking for high quality reps for your growing business. In the past, the trend has been to look at the traditional outsource companies such as those in India and the Philippines. However, there is an easier and better way to get highly trained and professional reps. Reps Direct has found an exceptional relatively untapped workforce in Central America. For those of you that have had bad experiences with Indian or Filipino outsourcing companies or those that are thinking about outsourcing for the first time, here are some reasons you should choose Reps Direct over anyone else as your nearshoring BPO solution. 1. Language Quality – Customers often become frustrated when they are unable to communicate effectively with their service representative. At Reps Direct our agents speak fluent and impeccable English. Even if you are not using one of our voice based services, it is helpful to know there will not be any communication breakdowns due to a language barrier. Here are samples from a couple of our agents. We have agents who can not only speak English but also Spanish, French, Italian, German, Dutch and Portuguese which is a huge advantage for international companies. 2. Our Reps Only Work For Your Company – With most outsourcing companies where you hire a “seat”, but with us you hire an employee without having to worry about benefits and other overhead associated with it. That means the rep only works for your company. You also have full access to your rep so the communication line is wide open. This allows you to get feedback from your rep that could help your business. 3. Easy To Get To – One major difference between Reps Direct and most outsourcing companies is that we encourage you to come visit our facilities and meet your agents. Reps Direct’s offices are located in Nicaragua – a much easier trip to make from the United States in comparison to a trip to Asia or India. 4. No Time Difference – Nicaragua is located in the Central time zone so there is no need for extremely early morning or late night phone calls in order to to get in touch with your reps.
5. 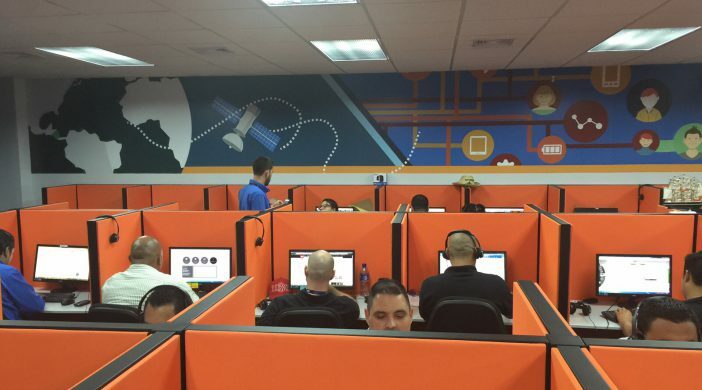 We Hire The Best Of The Best – As the front runner in the BPO industry in Nicaragua, we have access to the largest talent pool and the ability to select from the best of the best. This gives us an advantage over places like India and the Philippines where outsourcing companies are constantly competing with each other to find qualified reps. From customer service to sales to medical billing, we hand select the best reps to get the job done. 6. Reps Direct Is A US Based Company – Reps Direct’s headquarters are located in the United States and we encourage you to come and meet the executives of the company. Trust and accessibility are crucial, and we understand that. 7. No Contracts Or Minimums – We are so confident in our agents that we do not need to lock you in to a long-term contract. We operate on a month-to-month basis and you can start with as few as one agent to try us out. If you are interested in giving us a try Contact Us now and start building a better team tomorrow.